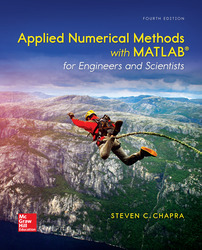 Applied Numerical Methods with MATLAB is written for students who want to learn and apply numerical methods to solve problems in engineering and science. As such, the methods are motivated by problems rather than by mathematics. That said, sufficient theory is provided so that students come away with insight into the techniques and their shortcomings.